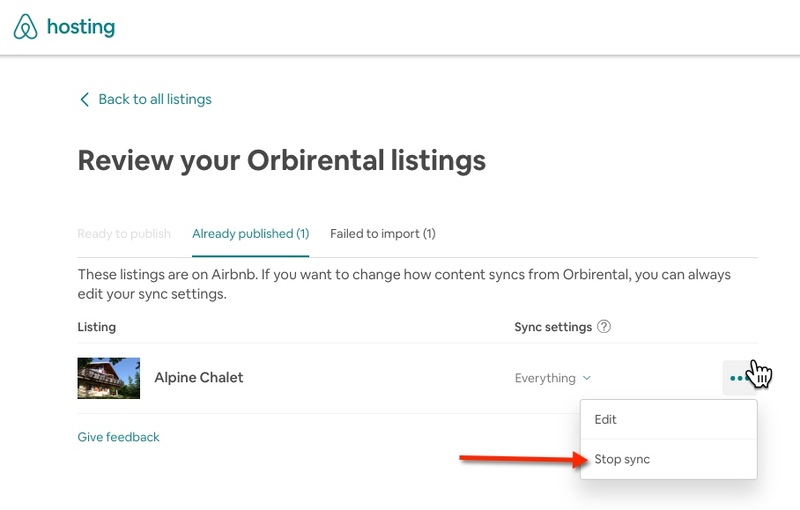 It is frequent for property managers to often sync and un-sync properties from the property management platform (Hostfully's PMP) and the channel (in this case, Airbnb). Most channels allow us to remotely de-activate a listing from Hostfully's PMP. In the case of Airbnb, the de-activation has to actually happen on Airbnb. Step 2: On the "Review your Hostfully Listings" page, make sure to select the tab "Already published", and on the little menu to the right, select "Stop sync"